NOVI, Mich.—Nate and Jenny Elzinga of Zeeland, Michigan, were selected as the state winning 2017 Michigan Milk Producers Association (MMPA) Outstanding Young Dairy Cooperators (OYDC) by a panel of judges represented by leaders in the Michigan dairy industry. 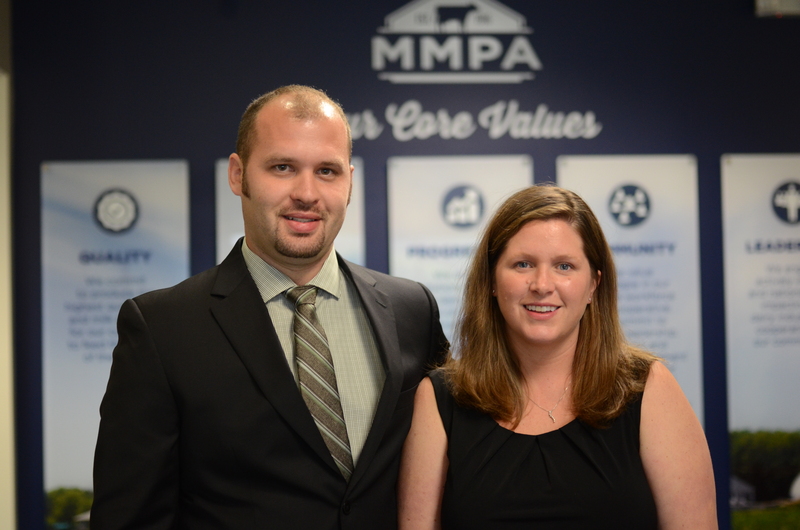 As the state winning cooperators, Nate and Jenny will represent MMPA at various industry and association activities. Jarris and Rebekah Rubingh of Ellsworth, Michigan, were selected as the runner-up cooperators. Selection of the OYDC is based on the applicant’s farming operations, farm-related and community activities and demonstrated leadership abilities. “The OYDC program identifies outstanding young leaders in our organization and provides an opportunity for them to gain a greater understanding of milk marketing activities and MMPA,” says Ken Nobis, MMPA president. Nathan and Jennifer Elzinga own Daybreak Dairy LLC with Nathan’s father, Daniel Elzinga, and brother, Paul Elzinga. The farm operates 350 acres and milks 235 cows. The couple is a member of MMPA’s West Michigan Local in District 3. Nathan completed the Dairy Tech Program at Michigan State University while Jennifer graduated from Baker College after finishing the Veterinary Tech Program. Nathan served on the MSU dairy judging team advising committee and is currently serving as a member on Ottawa County Farm Bureau. They plan to continue improving their animal performance and health through genetics. They are working hard to lower cost of production and make their farm more efficient. “Our farm’s mission is to provide for the families involved and employees by bringing our modern dairy to the next level through animal comfort, nutrition, genetics and by following the best cropping and manure practices,” stated the Elzingas. The Elzingas were one of 10 cooperators invited to the annual OYDC Conference held Aug. 17-18. The couple was selected to participate in the program earlier this year by fellow dairy farmers in their local. The state OYDC Conference, held at MMPA headquarters in Novi, provides participants with information about milk marketing activities, cooperatives, milk testing procedures and other current events within the dairy industry. The program has been held annually the past 67 years. This year’s program featured the Top Ten OYDCs selected from a pool of applicants nominated by their local. All Top 10 MMPA OYDCs will be officially recognized at MMPA’s 102nd Annual Meeting to be held March 15, 2018 in Lansing, Michigan.